The best thing about my loft is the roof. I feel like I have my own personal oasis to wonder over all the hopes and dreams in Downtown Dallas. What a view I have!! What better way to enjoy my view than to have a Moscow Mule on the Roof. The Moscow Mule is the “IN” drink of the season! In fact, I’ve read that the copper cups are the most stolen cup at the restaurants and bars that have them. I didn’t steal mine, of course, I got mine from Sears. I chose to get the 20 ounce cups so I don’t have to make more than one. 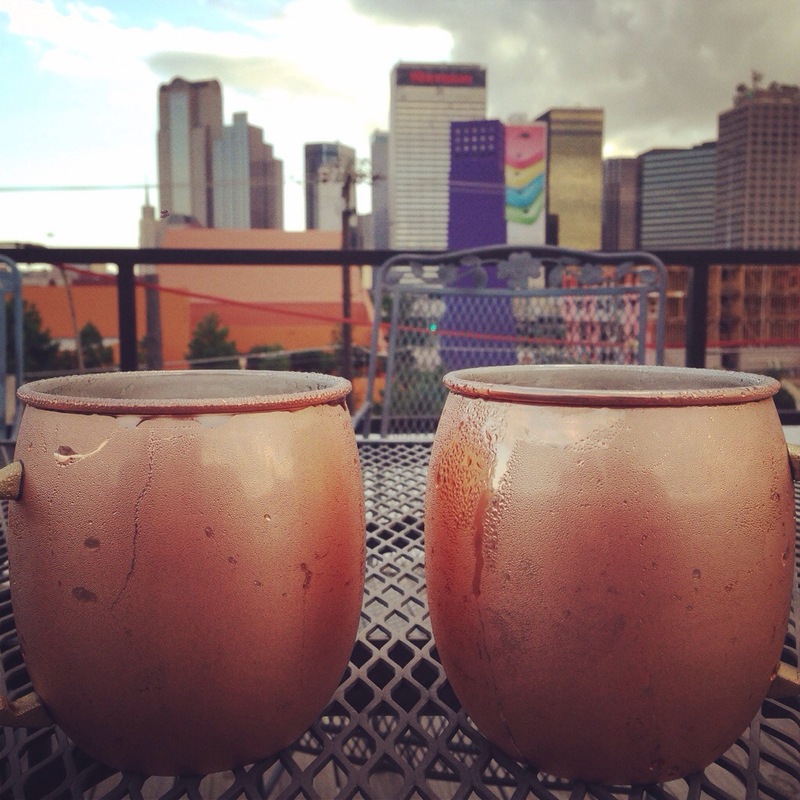 It’s pretty important to serve the Moscow Mule in a copper cup. It makes all the difference in the world!! Be careful though. This is a STRONG drink. Drink responsibly!